And my virtual dusting off continues: Last post showed beautiful custom work I forgot to publish way back in 2013, this one is even worse with photos that have been languishing since 2012! 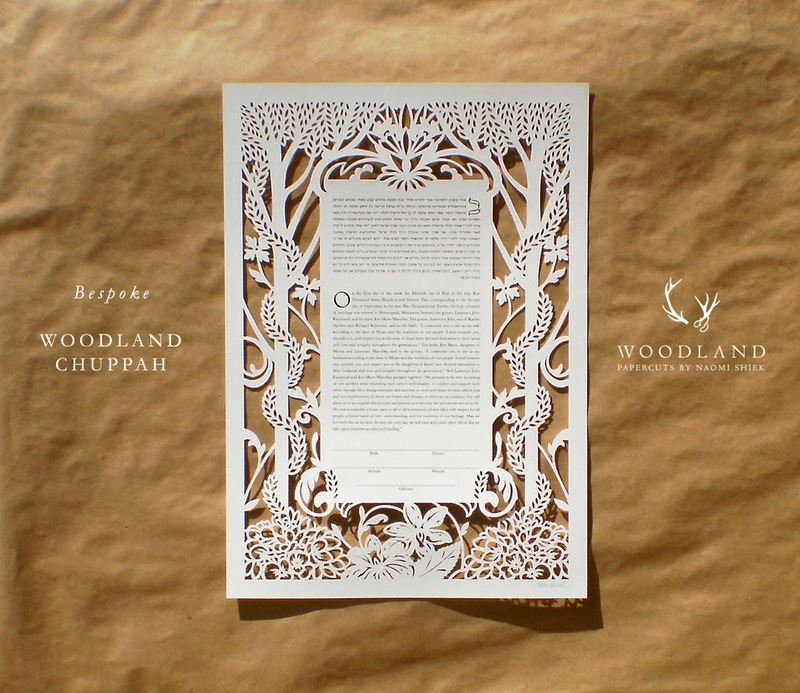 This beautiful custom papercut ketubah was commissioned by a couple that were looking for a Judaic style art piece reminiscent of their forest-themed chuppah and the antique lace canopy that covered it. This one was more 'decorative' than I usually make, and all one layer to boot, so it was a nice experiment for me. I knew then I could adapt my style to clients' requests. 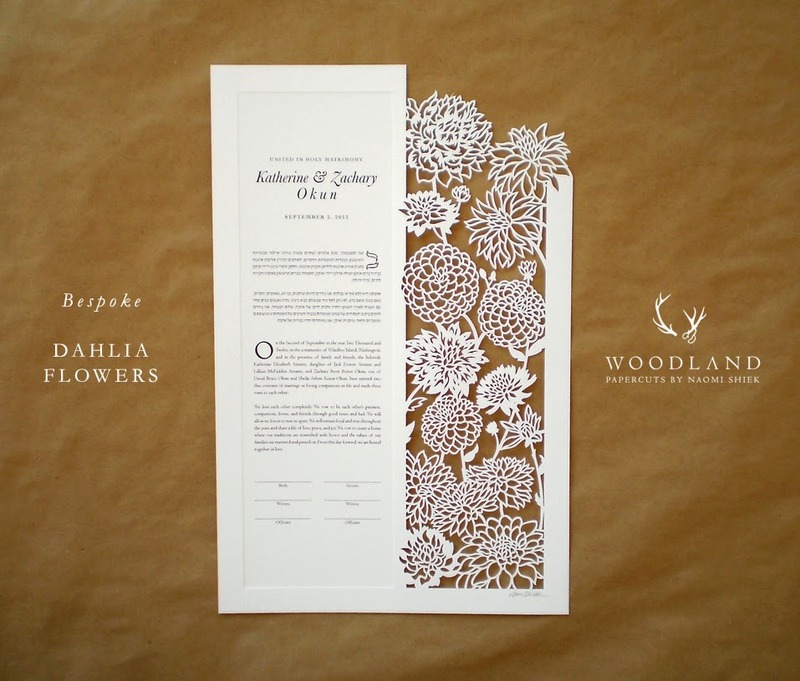 This second ketubah is called Dahlia Flowers, nothing imaginative I'm afraid, as it simply features... you guessed it, dahlias. This 11X17 inches big ketubah was commissioned by a bride that wanted the design to be lush with her wedding flowers. They were fun to papercut.